The recent health care bill was much talked about in the news. Daniel Orenstein, postdoctoral scholar at the University of California San Francisco, delves into a less-covered portion of this failed legislation that might have had big consequences. 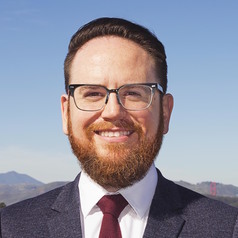 Daniel Orenstein is currently a Postdoctoral Fellow in the UCSF Center for Tobacco Control Research and Education where his work focuses on marijuana policy and its intersection with tobacco control. He has experience researching and teaching in multiple areas of health and public health law and policy, including health care reform, emergency preparedness, vaccination, and end of life issues. He previously served as Deputy Director of the Network for Public Health Law Western Region, providing public health legal technical assistance to federal, state, tribal, and local health officials, practitioners, attorneys, advocates, and others through legal research, presentations and trainings, and development of resource materials. He holds a JD from the Sandra Day O’Connor College of Law at Arizona State University, an MPH from the Harvard T.H. Chan School of Public Health, and a BA from the University of Arizona. The American Health Care Act was the recent Republican proposal to “repeal and replace” the Affordable Care Act, sometimes known as “Obamacare.” The bill received a lot of attention after being introduced on March 7, with most of the focus on estimates that it would cause 24 million people to lose insurance coverage and increase costs for many others. Many of the bill’s changes would be critically important to health, but lets draw attention to some less-discussed changes that could damage public health and benefit tobacco companies. While this particular bill is no longer being actively considered in Congress, future proposals are likely and may take a similar approach. First, the bill would have terminated the Prevention and Public Health Fund established by the ACA. This fund currently provides over 12% of program funding for the Centers for Disease Control and Prevention, including support for tobacco control programs across the country. Among many other programs, this fund allowed CDC to create the first federally funded anti-smoking media campaign: Tips From Former Smokers. Tips has helped prompt millions of smokers to attempt to quit, and the 2012 campaign alone is credited with preventing 17,000 premature deaths and the loss of 179,000 years of healthy life across the population. Second, the bill would have removed Essential Health Benefits requirements for some Medicaid programs and possibly other insurers, as well, eliminating their obligation to cover preventive care like smoking cessation at no cost to the patient. Additional proposed changes to the structure of the Medicaid program would also likely lead to reduced coverage and more limited benefits. These and other proposed changes would reduce the ability of public health authorities to pursue effective tobacco control programs and provide help to smokers who want to quit. Without such programs, fewer smokers will quit, meaning they will continue to die prematurely and incur higher health care costs that are shared with the public. Only one group benefits from cutting these programs: Big Tobacco, who get to keep more people smoking. Public health, like almost all aspects of the public good, is not of interest to this administration. When we ask “cui bono?” the answer is not surprising. No, the evil Tobacco Company executives and stock holders are not hurting a bit. Every state helps sell traditional tobacco to fund the MSA, SCHIP and other pork programs. These federal programs fund coercive advertising to sell ineffective Big Pharma NRT products. It’s sure not about health. It’s all about $MONEY$. Two more reasons to “drain the swamp”.